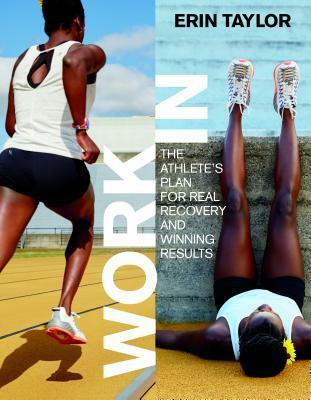 As usual, it's tough to believe that the first month of the year is already over; I'm thankful that I've had a good start to 2018, in both running and reading! I began posting these combined monthly recaps last year, since they are a great way for me to keep track of both of my favorite activities. During 2018, I will also be hosting a link up each month to share the books I plan to read...hope to read, maybe? This is open to interpretation! Please join in, if you'd like; the details are available on this page. My award for finishing as third overall female in the Village Creek 10K on January 27, 2018. Unbelievable by Katie Tur - After spotting this new release, a "recommended for you" title on the Audible website, I decided to grab a copy with some extra credits I was in danger of losing; I've been fortunate to have some great listening material this month, but Unbelievable is probably my favorite one! It's not all politics; Tur details the juxtaposition of the monotony and sudden action involved in covering a presidential campaign, as well as the disturbing attention she received due to the candidate she was assigned to follow. 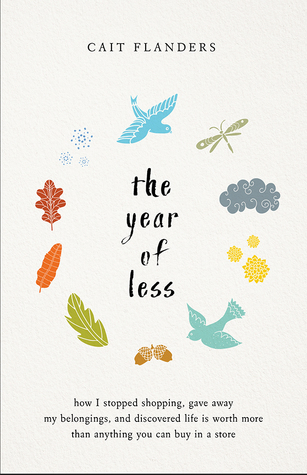 The Year of Less by Cait Flanders - I've never fallen for the "life changing magic" of anything, but I felt drawn to this story of a young woman who makes major adjustments to her lifestyle in an attempt to uncover and make peace with some unhealthy habits. This novel really resonated with me and I'm so glad that I purchased my own copy so that I can listen again. The Book of Joy by Dalai Lama XIV and Desmond Tutu - This seemed like an appropriate way to begin the new year; thanks to a recommendation from Catherine at The Gilmore Guide to Books, this one has been on my list for some time. I've since purchased a hard copy and a friend has already confiscated it, since I wouldn't stop talking about it . The Almost Sisters by Joshilyn Jackson - My first experience reading from this author and I am definitely interested in checking out some of her other publications! Girl in Snow by Danya Kukafka - A surprising hit; I had no idea how much I would enjoy this book but, I'm so glad I took note of this review by Catherine at The Gilmore Guide to Books and added this one to my Christmas list. 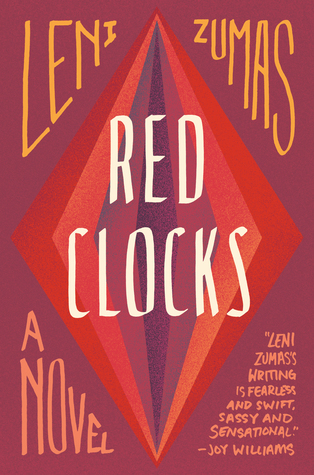 Red Clocks by Leni Zumas - This is a little outside my wheelhouse, although I do enjoy a good feminist/dystopian manifesto, and I'm glad I took a chance on it; Red Clocks is certainly not for everyone, but its commentary on the reproductive responsibility (for lack of a better phrase!) of women struck a chord with me. Anatomy of a Scandal by Sarah Vaughan - At just over the halfway mark, I decided I needed to let this one go; I have read several positive reviews, but it was not the book for me at the time I was reading it and some of my trusted book loving friends felt similarly. 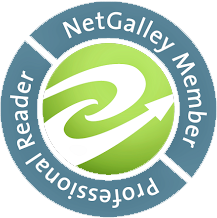 Check out this review from Susie at Novel Visits for more details! The Music Shop by Rachel Joyce - My January Book of the Month pick did not disappoint! One of my favorite BOTM judges, Kim Hubbard, nudged me in the right direction; to find your perfect judge, check out this tool from Sarah at Sarah's Book Shelves. Tell me all about your month! Which was your favorite book or activity?